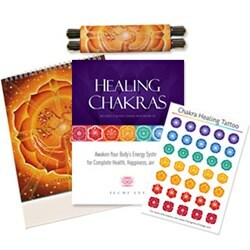 The holistic lifestyle website ChangeYourEnergy.com has added a new tool to its collection of engaging, easy to follow guided meditations-- the new Chakra Healing kit. The kit offers a comprehensive approach to Ilchi Lee’s meditation system for chakra healing. This special meditation kit uniquely offers techniques which engage sight, sound, and touch. This provides the practitioner opportunities to develop multiple levels of awareness of and interaction with their chakras.